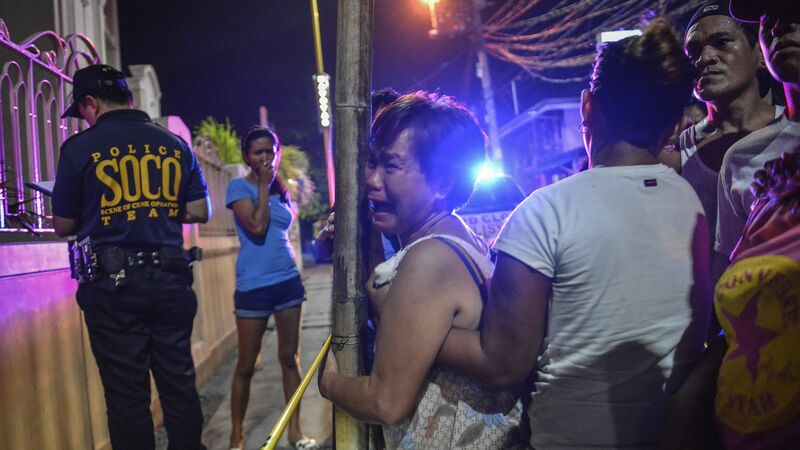 A woman weeps near the scene where a suspected drug user was shot dead by unknown assailants in Navotas, Philippines. Photo by Ezra Acayan/NurPhoto via Getty Images. Director of National Intelligence Dan Coats recently published a report naming Filipino president Rodrigo Duterte a threat to democracy in Southeast Asia, citing his threats to "suspend the Constitution, declare a 'revolutionary government,' and impose nationwide martial law." Why it matters: The most controversial aspect of Duterte's presidency has been the drug war that has seen thousands summarily killed with, at a minimum, his tacit support. Police say about 4,000 people have been killed, but most observers think that's far too low. Filipino senator Antonio Trillanes says the death toll has passed 20,000, though the true number is nearly impossible to determine. Here's how one history's deadliest drug crackdowns has engulfed the Pacific nation. While serving seven terms as mayor of Davao, Duterte oversees the extrajudicial killings of more than 1,400 criminals and street children by vigilantes, per a 2009 Human Rights Watch report. Though he previously denied any affiliation with the Davao Death Squad, Duterte admits his connections in a 2015 interview with ABS-CBN News and warns that he will kill up to 100,000 criminals if elected president. May 30: Following a foul-mouthed campaign in which he rose to popularity for vowing to decentralize the government and eradicate crime within six months, Duterte wins the election by more than 6.5 million votes. June 30: Upon assuming office, Duterte declares that his presidency will be "a bloody one" and that he will pardon himself for mass murder at the end of his six-year term. "If you know of any addicts, go ahead and kill them yourself,” he tells his inauguration crowd. Sept. 3: Duterte declares a state of national emergency after a bombing in Davao City kills 14 people, allowing him to exercise martial law and further rationalize the use of police force in his drug war. Sept. 16: Duterte asks for a six-month extension to his anti-drug campaign, claiming there are far more criminals than he anticipated and he “cannot kill them all.” At this point, the death toll is estimated to be near 3,000. Nov. 28: Expanding his list of targets, Duterte warns human rights advocates that their dissent will not be taken lightly: "When harvest time comes, there will be more [drug users] who will die. Then I will include you among them because you let them multiply." Jan. 31: Amnesty International releases a report claiming that "this is not a war on drugs, but a war on the poor." It details allegations of police being paid up to $300 per kill, as well as evidence-planting and falsification of incident reports to cover up unlawful executions. 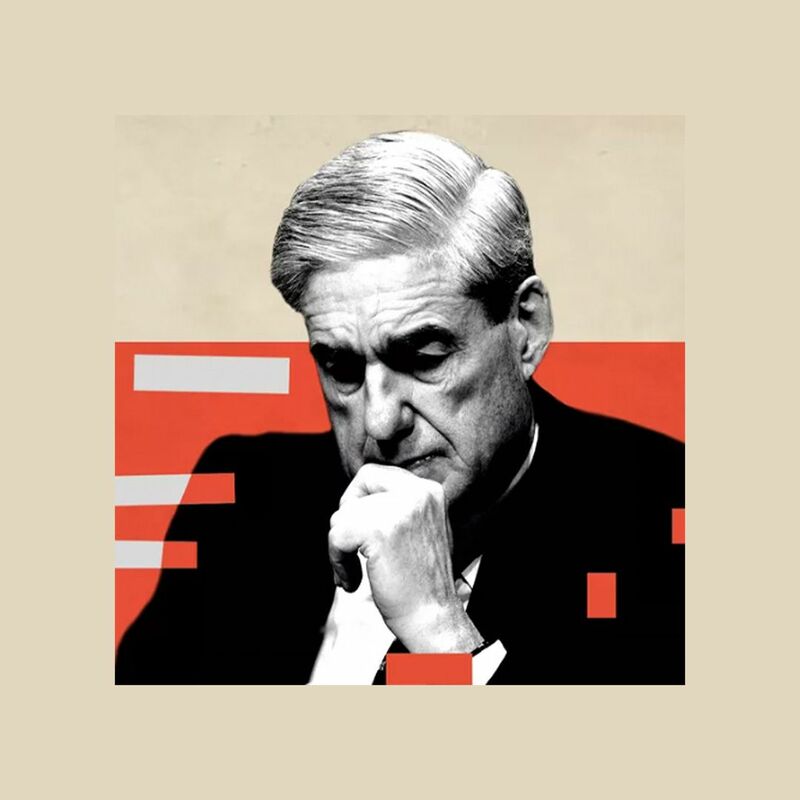 June 29: A Reuters investigation reveals that police are sending corpses to hospitals in an attempt to disguise the fact that they are executing suspects. The percentage of drug suspects pronounced dead-on-arrival in two districts increases from 13% to 85%. Oct. 27: Duterte defends the campaign, claiming that allegations of extrajudicial killings are political attempts to "demonize" him. February: The International Criminal Court launches a preliminary inquiry into the drug war over claims of crimes against humanity, while the U.S. labels the Filipino leader a threat to democracy. Duterte's administration hits back, asserting that he is not a threat to democracy, but rather a threat to the criminals who seek to destroy it. Go deeper: Reuters has done a series of investigations into the drug war that are worthy of your time. Police tell one story of what happened in Barangay 19. Security cameras tell another.